Ok eggy ones! Looks like you found another Eastery egg! This egg contains my collection of CatDog items. I finally gathered everything together and took a biiiig picture! Enjopy the insanity of my obsession. 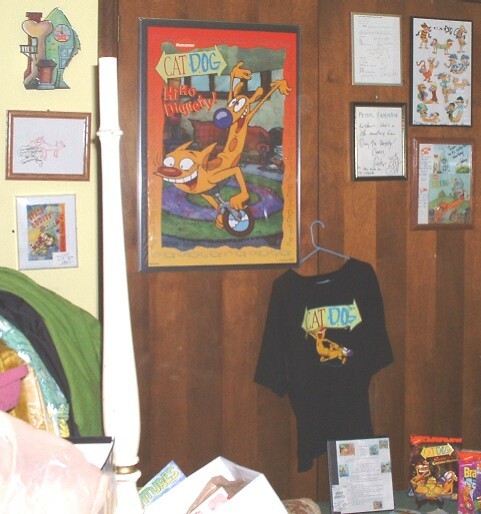 Later when I get some time I'll make a list of everything that is pictured here, and then another list of other CatDog items I know that exist out there. It'll be like a CatDog merchandise checklist. Enjoy the Eggy! 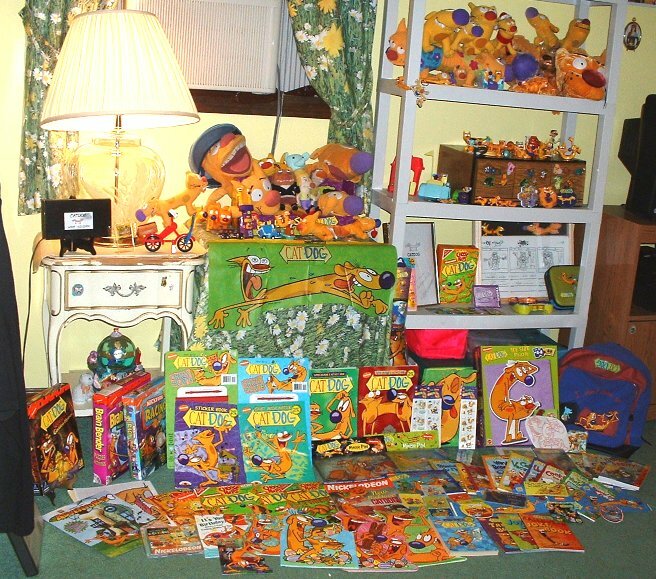 Did you have any idea that this much CatDog items existed? I sure as heck didn't until I kept running across one thing after another on eBay. 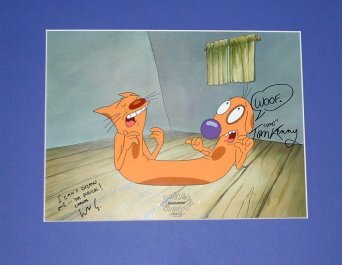 botom right: Lisa Kossey's Autograph plus the CatDog publicity booklet "CatDog Bible"
My CatDog animation cel, thanks to ebay once again, signed by Tom Kenny and Carlos Alazraqui! !